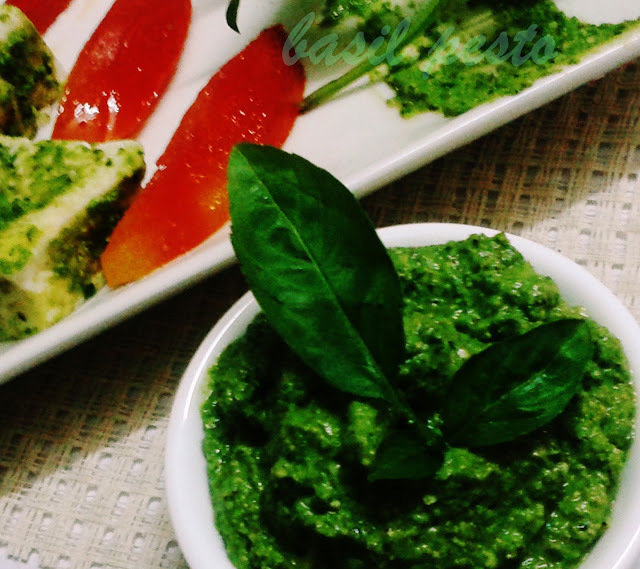 Marinate the cottage cheese cubes with pesto sauce and some salt and keep it in fridge at least for 15-20 minutes. 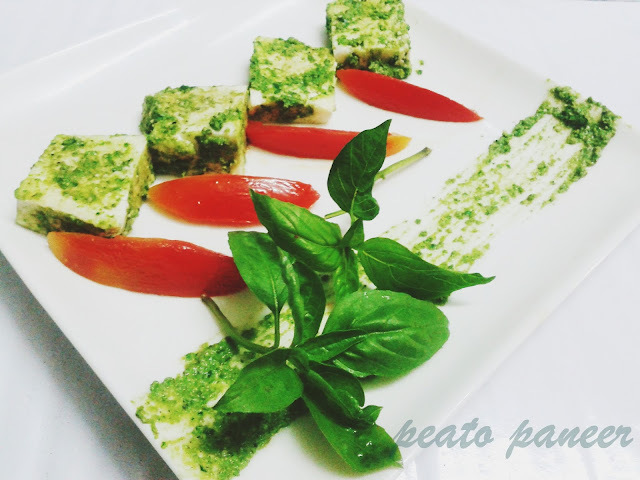 Heat olive oil in a pan and cook the pesto coated cottage cheese cubes for a while from all the sides. After this is done saute the tomatoes cut in desired shape in the same pan with some salt and pepper and serve. Wash, peel and cut the potatoes in cubes. 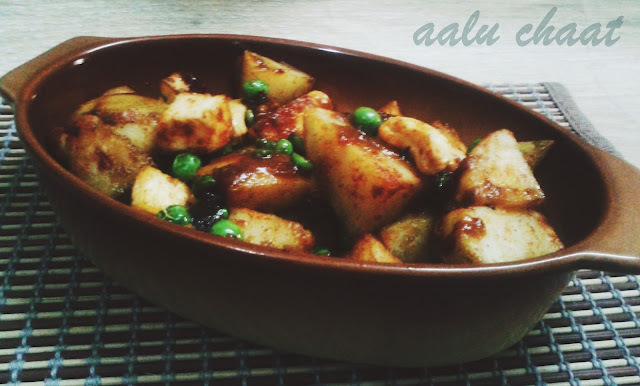 Heat oil in a wok (kadahi) and fry the potatoes in batches till they are well cooked and become soft from in side. 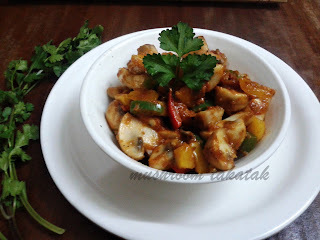 Put cashew nuts in the oil and fry them as well or you can roast them in micro wave or dry roast them in a pan. Don't over cook them. Now deep fry the cottage cheese cubes also. In another pan take a tsp of oil and add asafoetida and cumin seeds to it. When they start to crackle add peas and cook them till they become soft. Now add fried potatoes,cottage cheese,cashew nuts, salt, all the spices and tamarind chuttney and mix well. 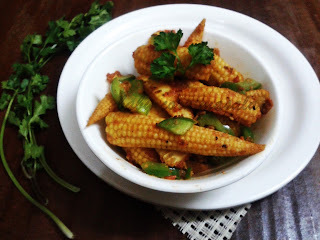 Serve hot.This can be eaten during fast. In a saucepan, bring 6 cups salted water to a boil. Add pasta and 1 tbsp of oil and cook, stirring occasionally, till cooked well. Remove from heat and drain. In a bowl, combine cooked pasta and cherry tomatoes. 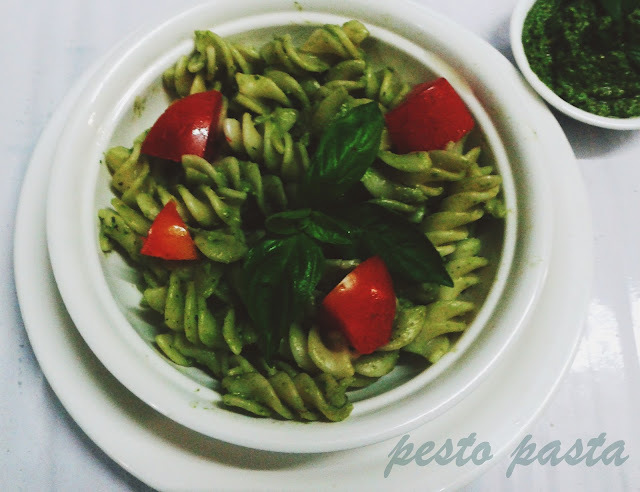 Add in pesto sauce and stir well to combine. Sprinkle with Parmesan cheese as desired. Put all the things together in a mixer jar and coarsely blend all. Fry them on medium flame till golden brown in color from all sides. 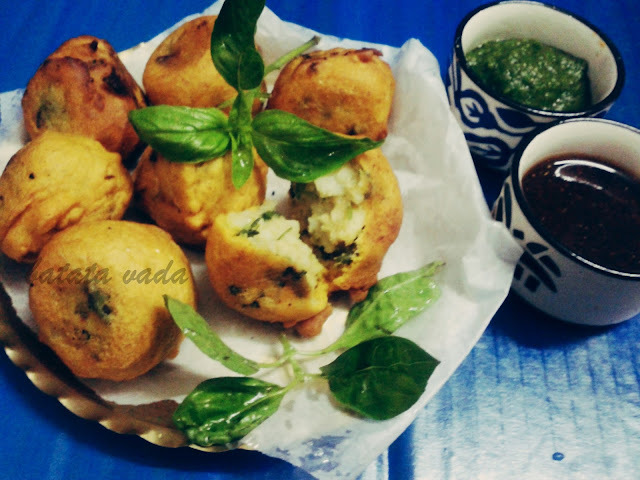 Serve hot with green chutney ,tamarind chutney or ketchup. Pour 1-2 tsp of syrup of different color in different glasses. Add 1-2 tbsp of crushed ice in each glass. Add 1 scoop of vanila ice cream in each glass. Fill the glass with sprite or seven up. 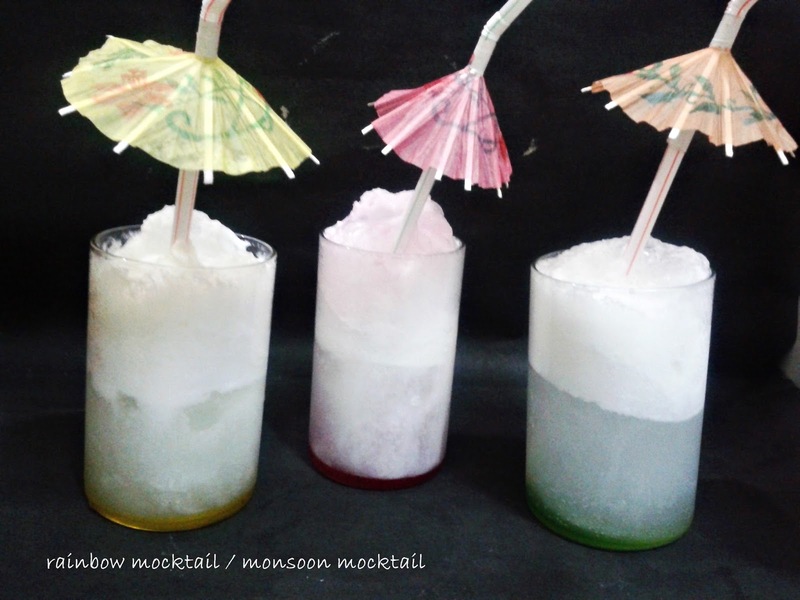 Place a straw with umrella in each glass and serve immediately. Peel, rinse and chop the carrots in desired shape. Rinse the peas as well. Keep aside. Heat oil in a kadai. and crackle cumin seeds. Add grated ginger and chopped green chilies.Stir for a while and add the carrots and peas along with the salt and turmeric powder and saute for 3-4 minutes. Cover and let the veggies cook on low flame if required add a tbsp of water. keep on checking and stirring in between. 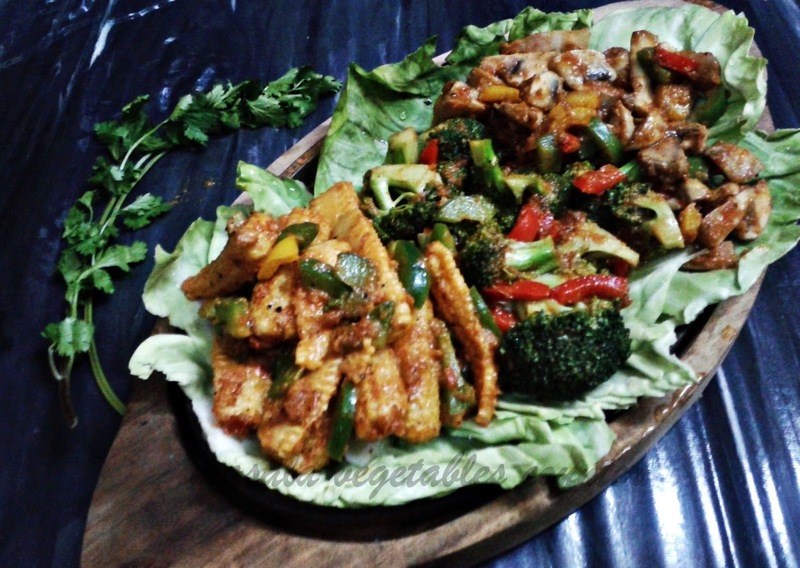 Cook the veggies till they become tender. Add sabzi masala, dhania powder and degi mirch and stir well. 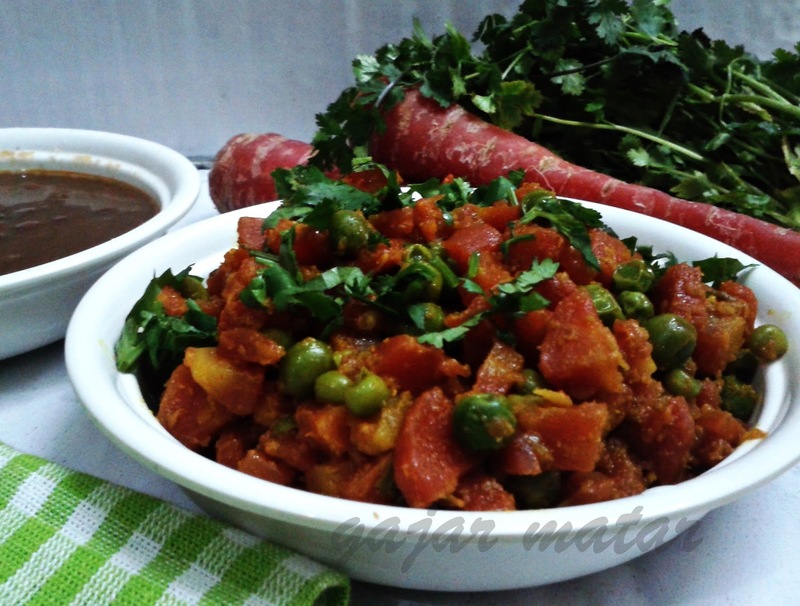 Serve gajar matar hot with chapati or parathas or as a side dish with dal. 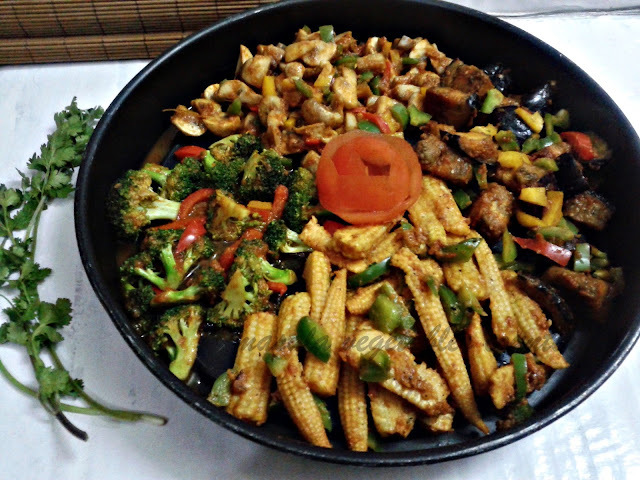 Taka tak vegetable is a tasty dish. You can try a no. of vegetables like broccoli,baby corn, mushroom,cauliflower, potato or cottage cheese etc. You can serve them in a round black server (like the one you get with microwave oven) or in a sizzler plate if serving all of them together. You can serve them individually either. 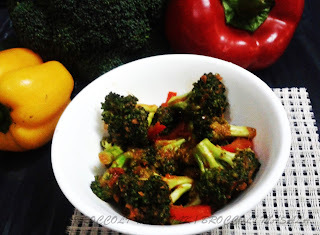 I tried some of the vegetables like broccoli,mushroom,baby corn and brinjal. All came out well except brinjal. I have shared the recipes. Hope you will like them.